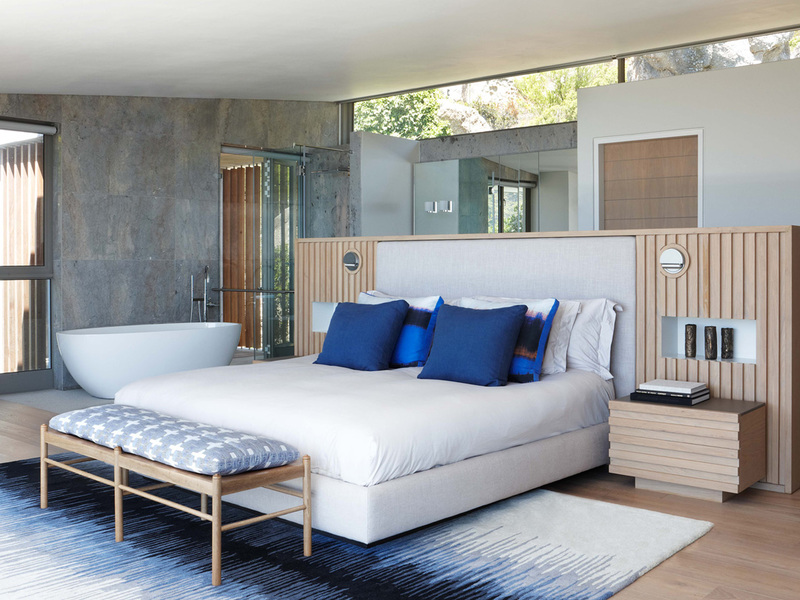 Located in a small beachfront community in South Africa, Project Belles Vues was a creative design collaboration between Bomax Architects, headed up by Dion Walters, and OKHA Interiors. The house was to provide a place of sanctuary and repose from the fast paced life of this international executive. 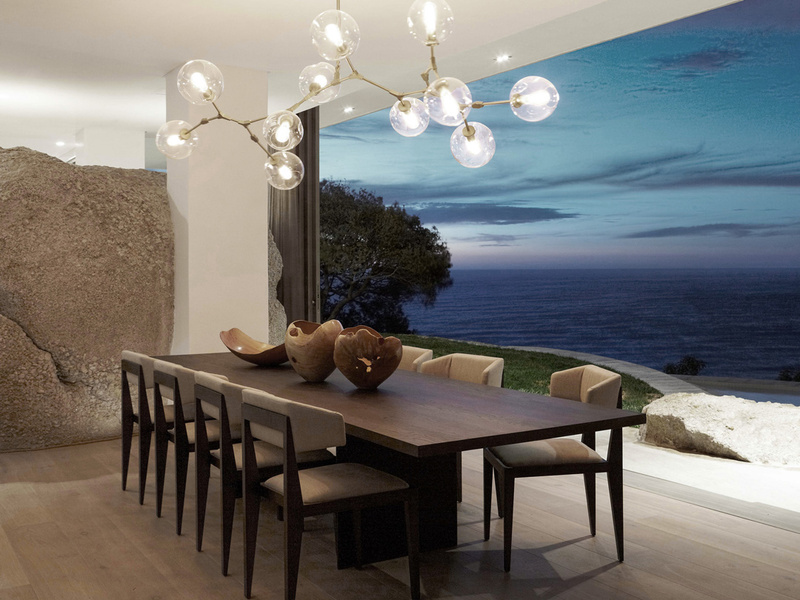 From its elevated position, the house has spectacular views of both mountain and ocean which are visible from every aspect of the house. 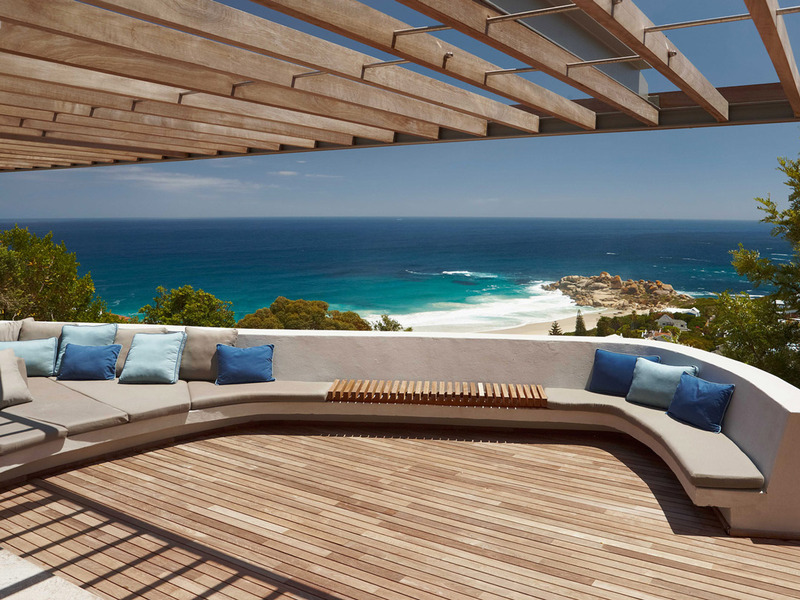 There are extensive balconies and terraces both at the front and back of the house and large windows frame the mountain and sea views from the interior – a key design element attributed to Bomax Architects. 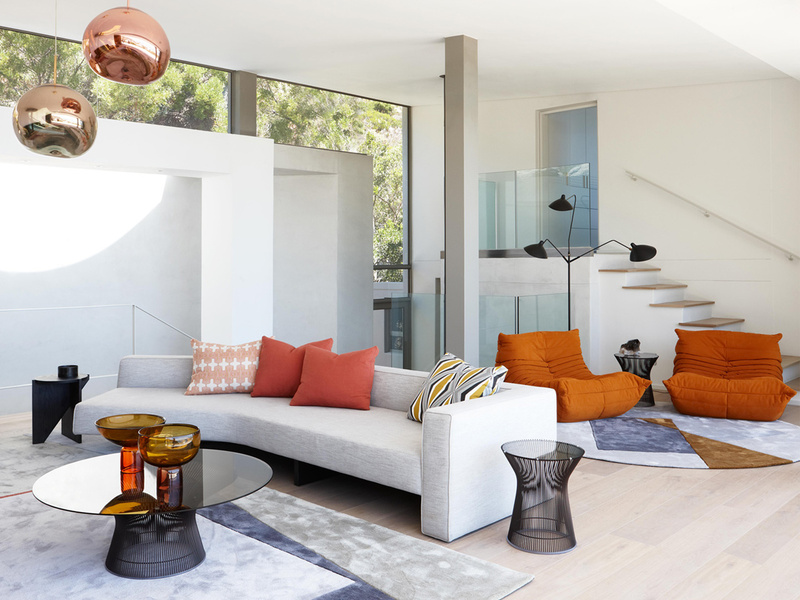 The project was an extensive alteration of an introverted building that now literally unzips across the entire front façade allowing direct access from the dining, living, entertainment and master bedroom to the exterior on both levels. The house breathes the sea air and allows the beach to become one with the natural matt finishes selected for the interiors. The existing old house was remodeled by Bomax Architects entirely, while retaining the existing concrete frame which rests on large boulders. 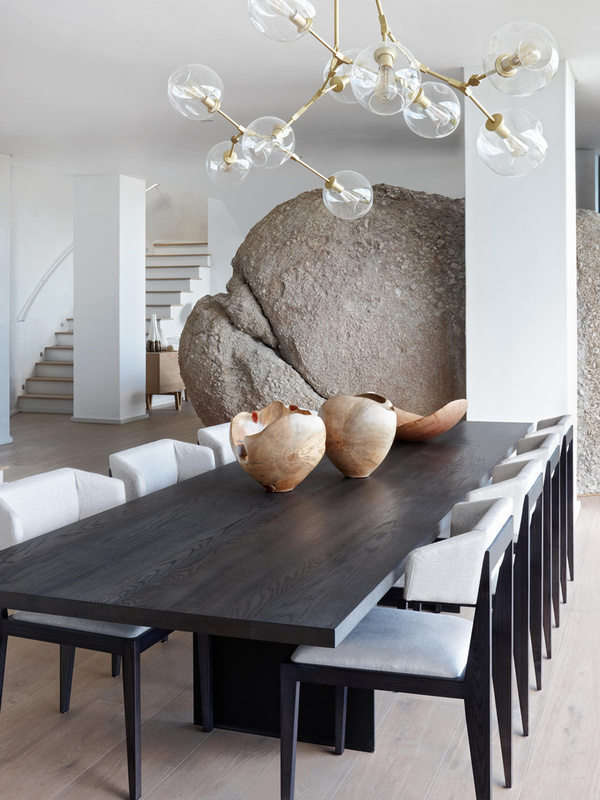 A giant granite boulder remains inside the house adding to the integration of the indoor and outdoor environments. Utilising existing materials together with sustainable building components allowed Bomax to improve the overall energy consumption and thermal performance of the house. 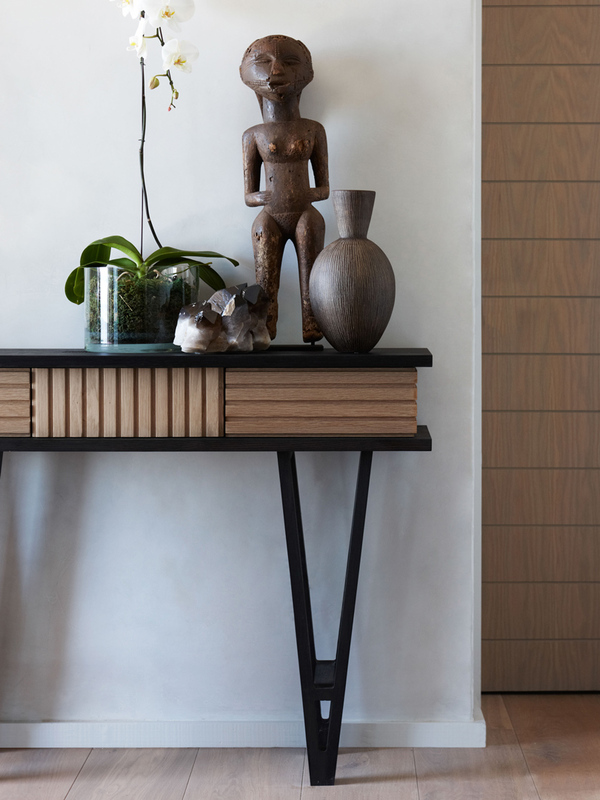 Although the Bomax architecture expresses a modern, almost minimalist aesthetic, the client wished to express his African heritage through elements of the interior; subsequently much of the furniture items were custom designed to subtly articulate an African modernism and luxury. 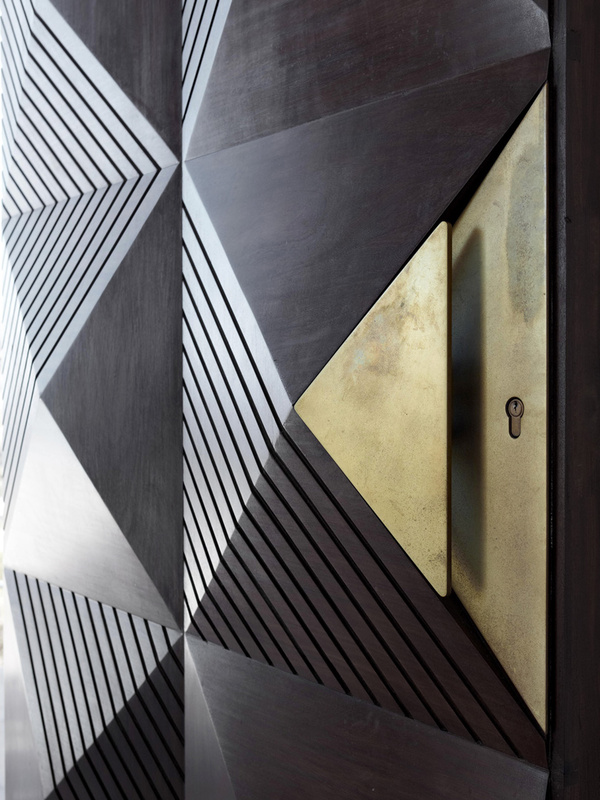 The OKHA designed three dimensional, sculpted and carved front door was inspired by traditional African motifs and sculpture and sets the tone for further contemporary interpretations found throughout the interior. 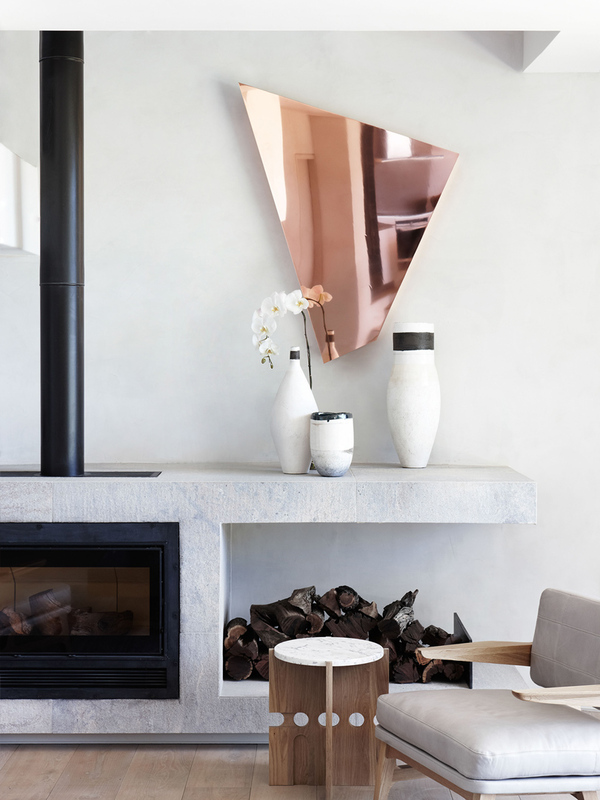 The ground floor formal lounge area is soothing in its chalky monochromatic palette, allowing natural light to sculpt and enhance the interior architecture and stucco walls. 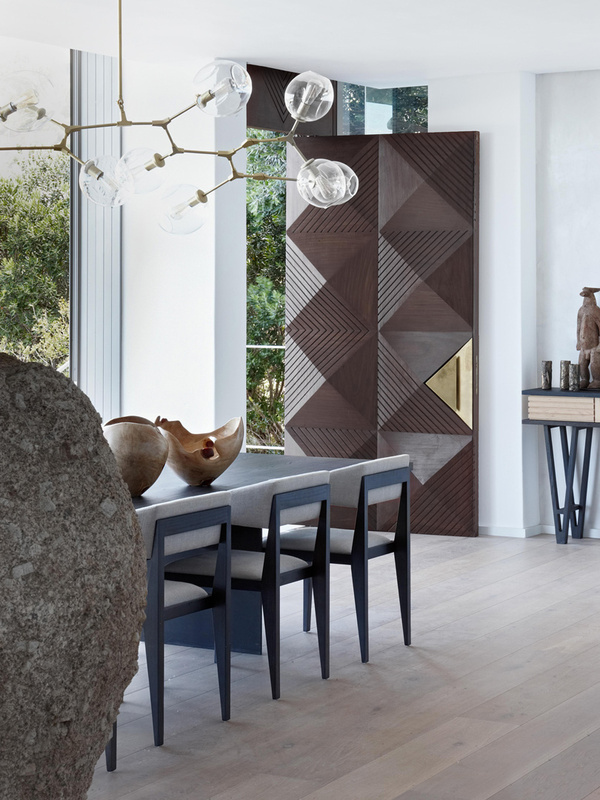 The furniture uses strong lines, clean forms and materials such as etched raw oak, vintage leather, satin brass and granite to create a timeless elegance. 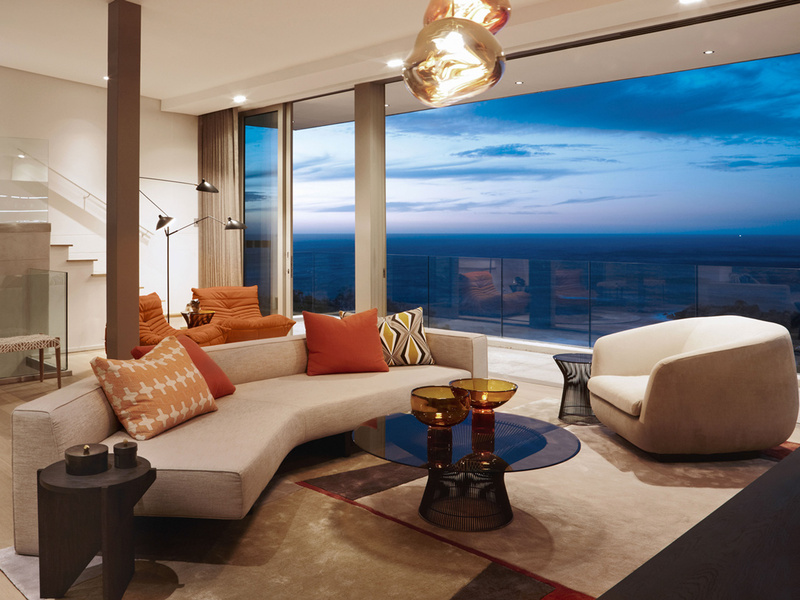 The entertainment level which houses the audio visual home cinema system, is a more vibrant experience with rich African earth inspired colours, custom graphic rugs and a classic retro feel which gives the upper level a distinct attitude.